Anyone watch the Disney movie ‘Smart House’? I have. I remember a specific scene where the boy bragged about how his new intelligent house would keep the water at the perfect temperature while he showered. The ‘Smarthydro’ bathtub is a sleek looking “smart” bathtub that does something similar. 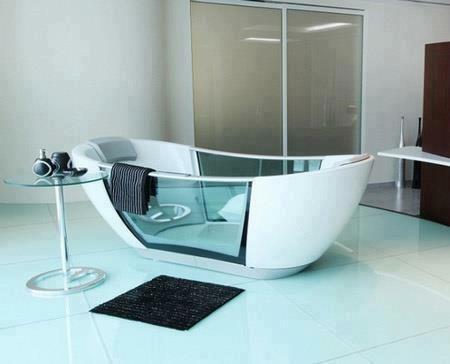 How much will this smart bathtub cost you? I’m not exactly sure (it is hard to pinpoint the company that makes it) but it likely will be in the thousands.